The American Boeing P-26 Peashooter, was the first all-metal production fighter aircraft and the first pursuit monoplane used by the United States Army Air Corps. The prototype first flew in 1932, and were used by the Air Corps as late as 1941 in the Philippines. The Boeing-funded project to produce the Boeing Model 248 began in September 1931, with the Army Air Corps supplying engines and instruments. The design included an open cockpit, fixed landing gear and externally braced wings, the last such design procured by the USAAC as a fighter aircraft. It also saw the introduction of flaps to reduce speeds for landings. The Army Air Corps contracted for three prototypes, designated XP-936, with the first flight on 20 March 1932. The Boeing XP-936 had a landing problem. Sometimes when landing it would flip forward and because of the short nose it would roll onto its back. This injured many pilots until the unarmored back canopy was replaced with an armored headrest. An additional 25 aircraft were completed as P-26Bs, with Pratt & Whitney R-1340-33 Wasp engines, and 23 P-26Cs had minor changes to carburation and the fuel system. Both Spain (one fighter) and China (11 fighters) ordered the Model 281 export version of the P-26C in 1936. The diminutive "Peashooter" as it became affectionately known by service pilots, was faster than previous American combat aircraft, but it was also an anachronism. Although the P-26 introduced a modern monoplane design, worldwide fighter aircraft developments soon outstripped the P-26. 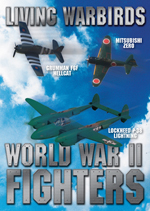 In Europe the Messerschmitt Bf 109 and Hawker Hurricane with closed cockpits and which both flew for the first time in 1935 were more representative of contemporary monoplane fighter designs. However, the P-26 was easy to fly and remained in active service for many years until the United States entered World War II. 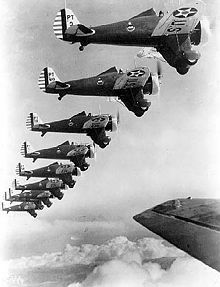 Picture - Formation of nine Boeing P-26s of the 20th Pursuit Group. Deliveries to USAAC pursuit squadrons began in December 1933 with the last production aircraft in the series coming off the assembly line in 1936, designated the P-26C. Ultimately 22 squadrons flew the Peashooter, with peak service being six squadrons in 1936. P-26s were the front-line fighters of the USAAC until 1938, when Seversky P-35s and Curtiss P-36s began to replace it. A total of 20 P-26s were lost in accidents between 1934 and the start of World War II, but only five before 1940. 3d Pursuit Squadron, Clark Field, Philippine Islands. The 17th PG became the 17th Attack Group in 1935, and its P-26s were transferred in 1938 to the 16th Pursuit Group (24th, 29th, and 78th PS) at Albrook Field in the Panama Canal Zone. These P-26s were transferred in 1940 to the 37th Pursuit Group (28th, 30th, and 31st PS) which flew them until they were replaced by P-40s in May 1941. Some continued service with the 32nd Pursuit Group (51st and 53rd PS), but only nine P-26s remained operational in Central America at the start of World War II. P-26As were also flown by the 3rd Pursuit Squadron of the 4th Composite Group, based in the Philippines. Between 1937 and 1941, 31 were sold to the fledgling Philippine Army Air Corps. The first Boeing P-26 to experience major combat operation was the Chinese Model 281. On 15 August 1937, eight of the Boeing fighters from the Chinese Air Force 3rd Pursuit Group 17th Squadron based at Chuyung airfield, engaged eight out of 20 Mitsubishi G3M Japanese bombers from the Kisarazu Air Group sent to attack Nanking. The Chinese Boeing fighters helped shoot down two of the four Japanese bombers destroyed that day without suffering any losses. Subsequent engagements between the Chinese "Peashooter" pilots and pilots of the Imperial Japanese Navy flying the Mitsubishi A5M "Claudes" were Asia's first ever aerial dogfights and kills between monoplane fighter aircraft. 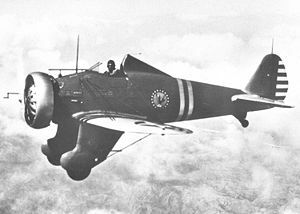 A single P-26 was in service with the Spanish Republican Air Force during the Spanish Civil War of 1936-39, but no aerial kills were recorded with this aircraft, it being shot down during 1936. By December 1941, U.S. fighter strength in the Philippines included 28 P-26s, 12 of them in the service of the 6th Pursuit Squadron of the Philippine Army Air Corps. Most of these were destroyed on the ground in the first Japanese attacks following Pearl Harbor, but Filipino-flown P-26s claimed one Mitsubishi G3M bomber and two or three Mitsubishi A6M Zero fighters before the last of them were burnt by their crews on December 24, 1941. Following Pearl Harbor, only nine P-26s remained airworthy in the Panama Canal Zone. In 1942-1943, the Fuerza A�rea de Guatemala acquired seven P-26s ostensibly by the US government smuggling them in as "Boeing PT-26A" trainers to get around restrictions of sales to Latin American countries. The last two P-26s in service were still flying until 1956 with Guatemala's Air Force, when they were replaced with P-51 Mustangs. The P-26's last combat operation was with Guatemala's Air Force during a 1954 coup. The P-26 was the last Boeing fighter to enter service until Boeing acquired McDonnell-Douglas with production and continuing support contracts for the F/A-18E/F Super Hornet in 2002. Between those aircraft, Boeing did produce the experimental XF8B in 1944 as well as the prototype YF-22 in 1991. P-26A c/n 1899 33-123, Currently on display by the Planes of Fame Museum located in Chino, California. This aircraft was sold to the Guatemala AF in 11 May 1943 and flew as FAG 0672 until it was retired in 1957 when it was recovered by Ed Maloney. Once flown regularly with the registration N3378G, the museum's P-26 was placed on static display in the mid 1980s to protect it. In 2004, the decision was made to again fly the P-26, and a restoration was begun to return the P-26 to flying condition. This was completed in spring 2006, with the aircraft having made its first appearances at the museum's May 2006 air show. P-26A c/n 1911 33-135, is in the collection of the National Air and Space Museum. This aircraft was originally assigned to the 94th Pursuit Squadron at Selfridge Field, Michigan, and was one of the P-26A sent to the Canal Zone. It was sold to the Guatemala Air Force in 11 May 1943 and flew as FAG 0816 until it was retired in 1957 when it was donated to the Smithsonian Institution. The aircraft was restored by the United States Air Force, and was on display at the US Air Force Museum in the markings of the 34th Attack Squadron, until 1975 when it was returned for display at the Smithsonian Air & Space Museum. 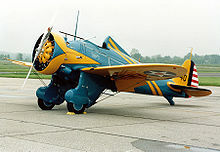 P-26A, A replica is on display at the National Museum of the United States Air Force in Dayton, Ohio - it is painted as the commander's aircraft of the 19th PS / 18th PG, stationed at Wheeler Field, Hawaii in 1938. The San Diego Air and Space Museum is making a replica of an early model to Boeing plans with the original design "streamlined tailwheel" and without flaps and the crossover exhaust that were later additions. In addition, Mayocraft Inc., completed final assembly in September 2006 and has now begun taxi-testing a near-100 percent scale tribute to the Boeing P-26. P-26C, two aircraft are being built by Golden Age Aeroplane Works, Seymoure, Indiana. Three prototype aircraft for the US Army Air Corps. First flight: 20 March 1932. Single-seat fighter aircraft, powered by a 500 hp (373 kW) Pratt &amp; Whitney R-1340-27 Wasp radial piston engine, 111 built. Single-seat fighter aircraft, powered by a Pratt &amp; Whitney R-1340-33 Wasp radial piston engine, two built. Single-seat fighter aircraft, with minor changes to the carburetor and fuel system, 23 built. Export version of the P-26C, 11 built for China, one built for Spain, 12 built. Picture - Operators of the P-26. Bowers, Peter M. Boeing Aircraft since 1916. Annapolis, Maryland: Naval Institute Press, 1989. Dorr, Robert F. "Boeing P-26 Peashooter". Air International, Vol 48, No. 4, 1995, p. 239. Green, William and Gordon Swanborough. 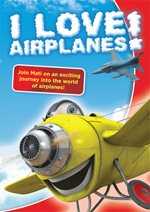 "Boeing's Fighter Finale...The Peashooter Chronicle". Air Enthusiast, Fourteen, December 1980-March 1981. pp. 1-12, 73-75. Maloney, Edward T. and Frank Ryan. 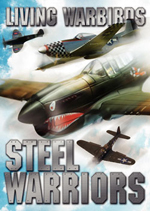 P-26: History of the Famous Boeing P-26 "Peashooter" (Air Museum Historical Series). Hollywood, CA: Challenge Publications, Inc., 1965. Shores, Christopher, Brian Cull and Yasuho Izawa. Bloody Shambles: Volume one: The Drift to War to the Fall of Singapore. London:Grub Street, 1992. 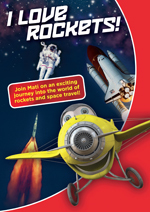 ISBN 0 948817 50 X.